There’s a funny thing about life and I think is true for most of us – when we have something we do not realize it’s worth but when it goes away…we long for it. Whether its materialistic possessions or memories, we want to hold on to what went away. When I was growing up my Mom used to make a variety of food – from fancy dishes to regular healthy stuff – and just like any other kid I would never get excited unless it was noodles or pizza or a fried snack. Now that I am grown up and live 7,000 miles away from my Mom, all I crave for is food that she used to cook for me – delicious greens with perfect balance of spices and soft rotis. Come winters and I long for Sarson ka Saag with Makki ki Roti, which I refused to eat as a kid and was almost always force fed. Not having access to Mom’s food increases the longing so much, that I call her, get the recipe and do what I can do the best, cook for them with all my love, hoping to recreate those memories for my family. And I know, my kids may not enjoy the taste as much today, they will certainly grow up to remember. I have tried to simplify this recipe, so that you can make it quickly and still enjoy the taste. Wash and roughly chop the Sarson and spinach leaves. Wash, peel and chop broccoli/turnip; pressure cook these for 4 whistles with a cup of water. Let the pressure release naturally, once cool, grind into a coarse paste. Add more water, e.g. 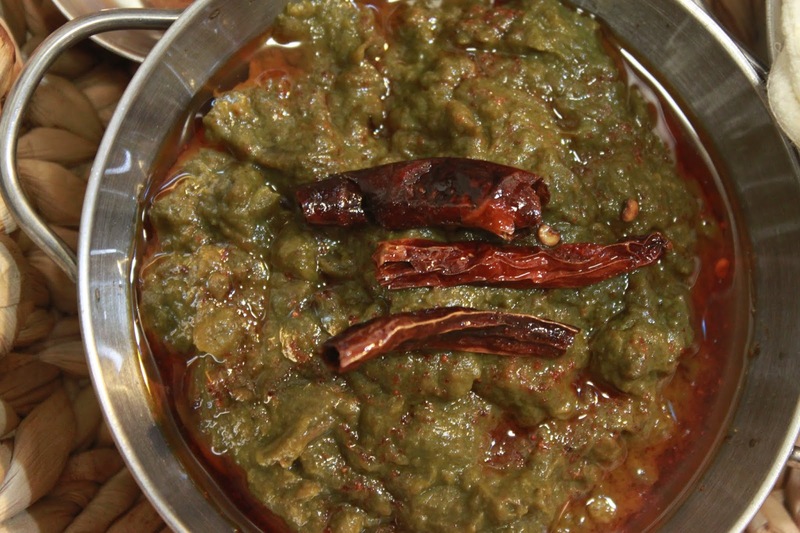 about 1 cup, and let this cook on low for 45 minutes to an hour for the perfect sarson ka saag. Cooking on low heat does the magic. Just before you are ready to serve, re-heat the saag. In a wok, heat ghee, followed by red chillies, let them crackle, remove from heat, add the red chilli powder and quickly pour the tadka on the warm saag. 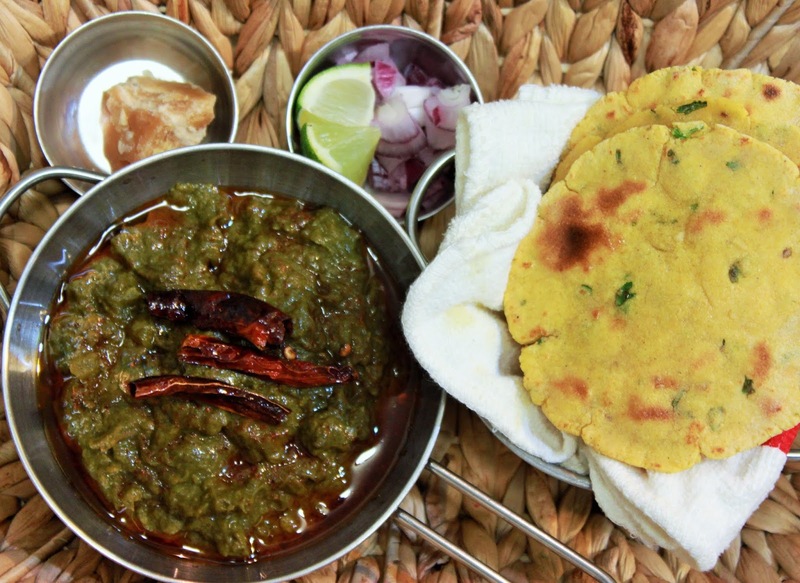 Enjoy the delicious and healthy saag with freshly made makki ki roti. Combine all the above ingredients (except ghee) with water (about 1/2 cup), into a soft dough, cover and let it rest for 10-15 minutes. Rub a little ghee and form small balls. Dust each ball with wheat flour, form into small disc shapes with hands, you can use a rolling pin also, I prefer hands. Smear the chapatis with ghee, and enjoy with hot sarsoon ka saag and gud (jaggery), this will be a meal you would remember for long! !